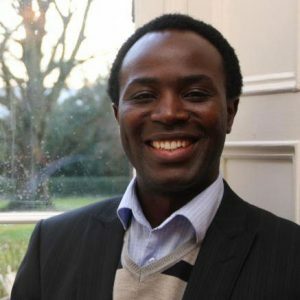 Dr. David Nyaluke is now a UCD- Proudly Made in Africa Fellow in Business and Development. Dr David Nyaluke obtained his PhD, Explaining the Basis of African Democracy and Regime Legitimacy: The Case of Tanzania, at Dublin City University in 2013. Before joining DCU for PhD studies and research, David studied at the University of Dar-es-Salaam in Tanzania for his bachelor degree in Political science, Public administration and International relations. After that between 2000-2004 he studied for an MA degree in Social sciences at the University of Amsterdam, an MA in Democratization and Liberalization at Central European University in Budapest, Hungary and attended International law and Practice of International Criminal Courts, an MA course at Teramo University in Italy. Nyaluke, David and Connolly, Eileen (2013) The role of political ideas in multi-party elections in Tanzania: refuting essentialist explanations of African political systems. Irish Studies in International Affairs, 24, pp. 41-57.